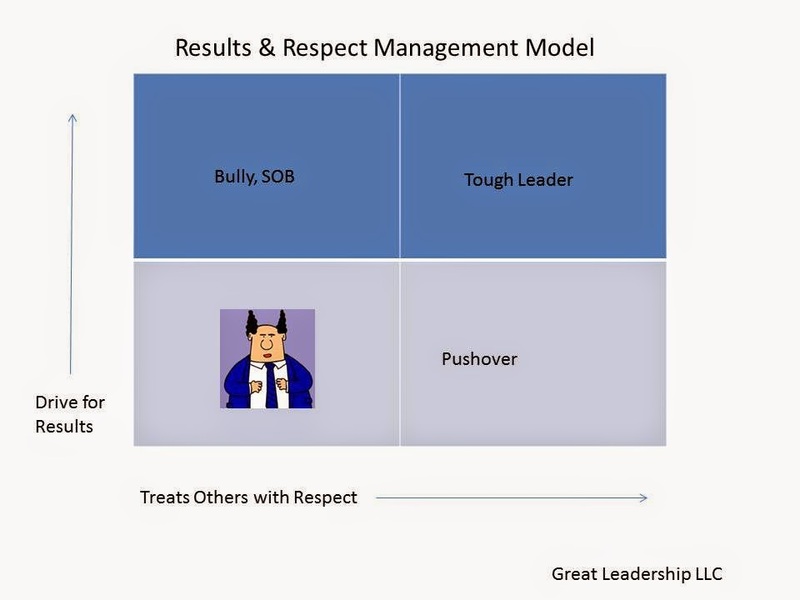 Great Leadership: You Can be a Tough Leader and not be an S.O.B. "Well, he gets results, but leaves a trail of bodies in his wake"
The thing that drives me crazy is way too many organizations (and people) accept this as OK.
You know, you can get results and treat people with respect - the two are not mutually exclusive! 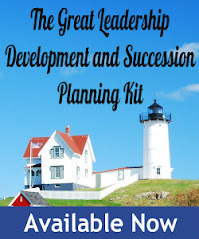 The great leaders are visionary and set extraordinary goals for themselves and others. They can be demanding, have high expectations, and push their teams to their upper limits. But they do it in a way that a way that makes people feel valued; that their ideas and work matters, and enables people to achieve more than they thought was possible. And in the long run, they outperform the SOBs every time! "You know, she was tough as nails and demanding, and I don't think I've ever worked as hard. But she was fair, recognized my good work, and I learned a lot!" You can get great results - and not have people do a happy dance after you're gone. I couldn't agree with you more. Some of the best leaders I have worked for were not only tough, but fair. Unfortunately, what happens a good majority of the time in my profession, is we have individuals that move so quickly into positions of leadership. They have never really had the time to develop the necessary skill to be effective. They most often end up leading by fear because that is all they know. Thanks for your comment. Right, it may be all they know, and how they have been managed. Great thoughts, Dan. I also agree with Jason... many managers nowadays have been thrust into leadership positions with little to no training on how to manage people. Either that or they are given the role because they have a relationship with the hiring manager. Respect is a thing that every employee needs, as it leads to motivation, enthusiasm, and productivity in the workplace. I've been in companies where managers have been nasty and don't respect anyone that doesn't stand up to them. Unfortunately, standing up to them mainly means risking your job. Dan, I'm a long time reader of your blog and think you have a refreshing and practical perspective. Cool parent (All people, no results) to Trail of Dead Bodies Leader (All results, no people). Being Bankable means being balanced and doing both.